What does the future of home look like? 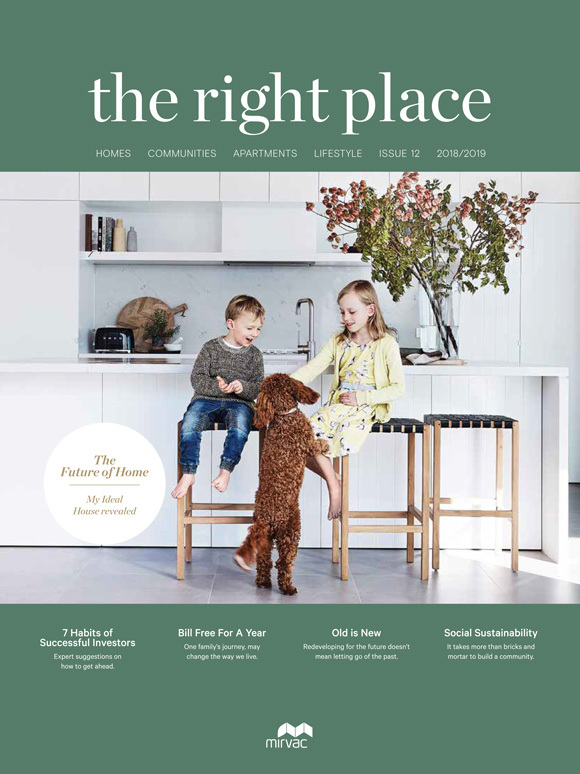 Welcome to the latest issue of The Right Place Magazine. This new issue offers exclusive insights into what we can expect from our homes and lifestyles in the future. From next year to 2050 and beyond, our homes will look and feel differently to the way they do now. Find out how and why. If you would like to enquire about a Mirvac Residential Project, please visit our Contact page and fill in the contact form.